Czech language for foreigners, on-line with Skype or near Prague ! 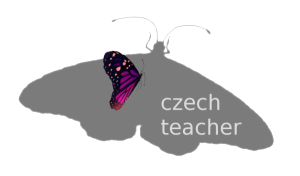 my name is Alice, I am a Czech language teacher in Prague with more than 15 years of teaching experience. Let’s try to study Czech with me. Learning is organized individually according to your needs and wishes. You can study on your own or in a group of friends. I offer education at all levels of CEF as well as any desired specialization (e.g. general Czech, business, marketing etc.) Studying is based on a suitable course book depending on the level and specialization. I also provide supplementary materials according to your needs. I can teach you anywhere you want – at home, in your office. The place depends solely on your needs. The only limitation is the place has to be via Skype.